Stocks flat. Time to get used to it? Click the chart for more stock market data. Investors were cautious Monday but the Dow Jones industrial average eked out a big enough gain to close at yet another new record high. The Dow, S&P 500 and Nasdaq ended the day only a tiny bit higher. With no major corporate results or economic reports on the schedule, and the Treasury market closed for the Veterans Day holiday, stock market trading was light and subdued. Stocks popped Friday on the back of a strong monthly jobs report. But investors have also begun to worry that the strong data could push the Federal Reserve to begin scaling back, or tapering, its stimulus program. Stocks have surged this year thanks to a slowly recovering economy and continued bond buying from the Fed. Both the Dow and S&P 500 are up more than 20% so far this year, while the tech-heavy Nasdaq is up nearly 30%. But there are concerns about how long the big market run up will last. Alain Bokobza, head of the global asset allocation strategy team at Societe Generale, isn't expecting more big gains. Once the Fed finally decides to begin tapering, Treasury yields will ultimately rise. Earnings growth may slow as well. Those two factors could be the catalyst for a market correction -- which is technically a pullback of at least 10% from the highs. At best, the SocGen strategy team is predicting that stocks will be flat over the next few quarters. The Fed will remain in focus throughout the week. Investors will be watching for clues about future monetary policy when Janet Yellen, vice chair of the central bank, testifies Thursday at her confirmation hearing on Capitol Hill. She is President Obama's nominee to replace Ben Bernanke as chairman of the Fed. What's moving: Priceline (PCLN) shares jumped more than 2% and hit a new all-time high above $1,100 a share, but closed just below that milestone. Priceline's shares are the priciest in the S&P 500. The stock was the first in the benchmark index to hit the four digits earlier this year. Traders on StockTwits were mostly bullish, despite the stock's 80% run-up so far this year. "$PCLN You got to love this move...1500 next target," said 200pips. Another trader noted that rival Expedia (EXPE) may begin to rally thanks to the strong move in Priceline. "With $PCLN at all-time highs, $EXPE might be the next to break out. Keep an eye on it," ivanhoff said. However, some traders noted that Priceline's rally could be on its last legs. "$PCLN Nothing to see here, will burst like every other bubble," said BeatShort. 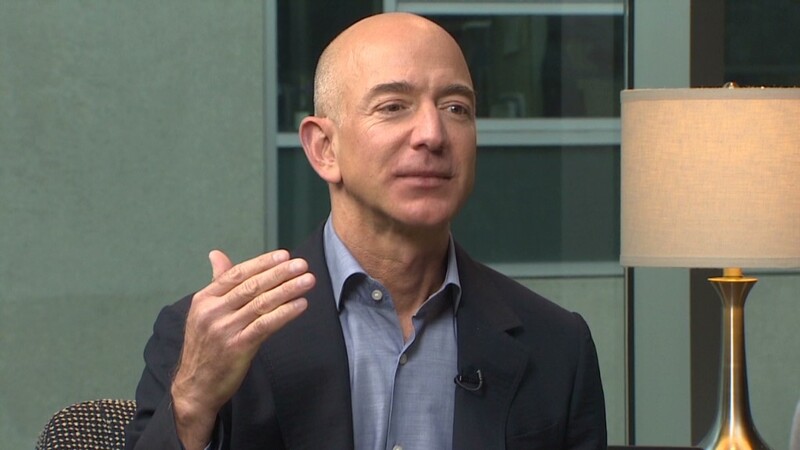 Amazon.com (AMZN) shares were up after the e-commerce giant announced a deal with the U.S. Postal Service to deliver seven days a week. The service will initially launch only in New York and Los Angeles, but is expected to expand to Dallas, Houston, New Orleans and Phoenix in 2014. Yes. Amazon is overvalued. So? Best Buy (BBY) shares gained ground after UBS upgraded the electronics retailer's stock to "Buy" from "Neutral," and raised its price target to $49 per share. Jefferies also boosted its price target on the stock. Best Buy is up 270% so far this year, making it the best performing stock in the S&P 500. Some traders wondered if the stock's surge may be overdone, given that Best Buy is still in the middle of a turnaround. "I wonder if $BBY is a good short candidate," said TopGunFP. "Might have gotten ahead of itself." Another trader agreed that investors should eventually bet against Best Buy, but warned that it may not be the right time yet. "Patience here, wait to short," said mytfine. "For whatever reason the cabal wants this higher in short-term, we'll likely find out why. LT strong sell $BBY." Transocean (RIG) gained ground after the company agreed to increase its dividend. Activist investor Carl Icahn, who owns a stake in Transocean, had been pressing the company to boost its payout. 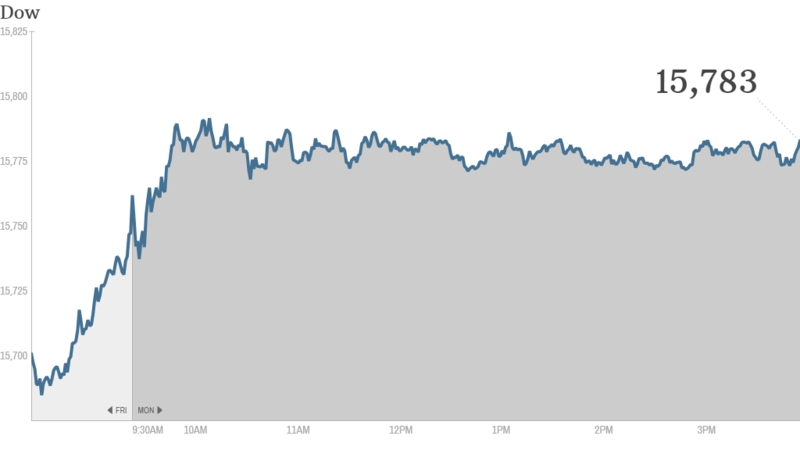 Shares of Twitter (TWTR) rose after briefly tumbling below $40 a share Monday morning. The stock surged 73% on its first day of trading Thursday, but fell 7% Friday. European markets ended with narrow gains. Asian markets were mixed as Typhoon Haiyan swept through the region. Online sales on China's "Cyber Monday" smashed last year's record by early afternoon.